Sean turns 36 today, meaning I shouldn't really refer to him as a "baby" brother, but hey, alliteration. 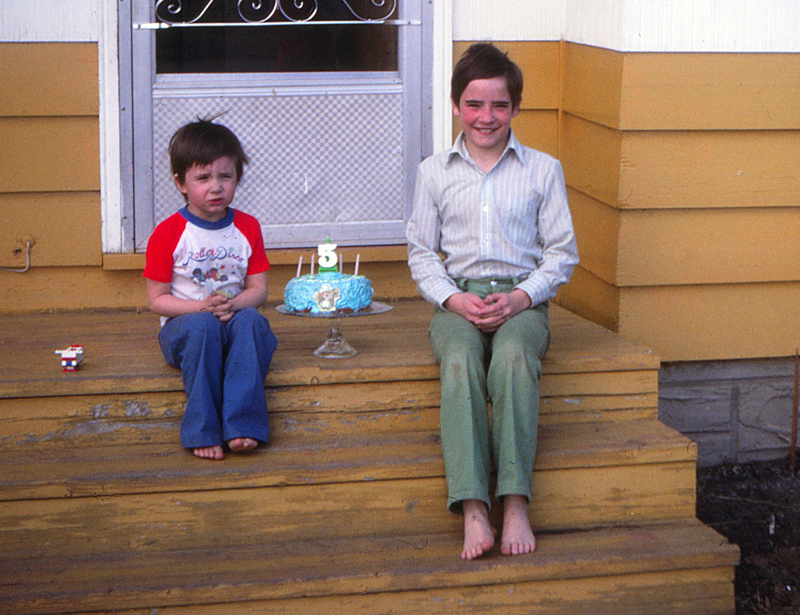 Here we are celebrating Sean's 5th birthday back in 1981. I love the Mickey and Minnie Mouse "Roller Disco" shirt Sean's wearing - and my green pants. Sean still has far better fashion sense.